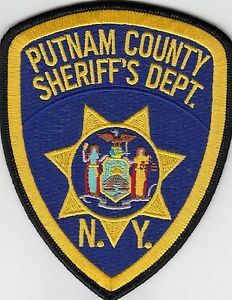 Putnam County Sheriff Robert L. Langley Jr. reports the arrest of a Kent woman, for drug possession, false personation, and other charges. On March 27, 2019, at approximately 7:03 p.m., Deputy Sheriff Christopher Irwin observed a vehicle commit a traffic violation on Interstate 684 North. Deputy Irwin initiated a traffic stop of the vehicle. A subsequent investigation revealed that the vehicle’s front-seat passenger, Desiree Anderson, age 32, of Kent, had an active warrant out of the Town of Southeast for Criminal Possession of a Hypodermic Instrument, and for Unlawful Possession of Marijuana. During the investigation, Ms. Anderson provided Deputy Irwin with more than one false name. Additionally, it was discovered that Ms. Anderson had swallowed crack-cocaine, prior to Deputy Irwin’s traffic stop and had in her possession several crack pipes. Ms. Anderson was placed under arrest and charged with Tampering with Physical Evidence (Class E Felony), Criminal Impersonation in the Second Degree (Class A Misdemeanor), Criminal Possession of a Controlled Substance in the Seventh Degree (Class A Misdemeanor), Obstruction of Governmental Administration in the Second Degree (Class A Misdemeanor), and False Personation (Class B Misdemeanor). Due to Ms. Anderson’s ingestion of Crack-Cocaine, Ms. Anderson was transported to a local Hospital for medical evaluation. Ms. Anderson was issued appearance tickets and is scheduled to appear in the Town of Southeast Justice Court, at a future date and time. State Police in Troop K removes twenty-four impaired drivers from public roadways over the April 6, 2019, weekend.